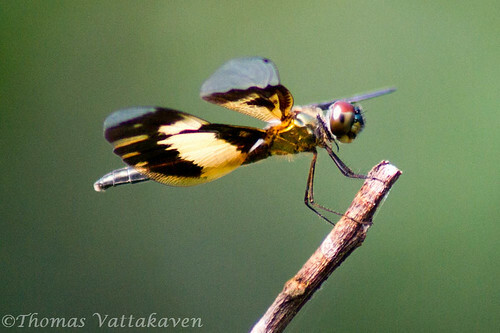 Common Picture Wing (Rhyothemis variegata) is also called the Variable Glider. 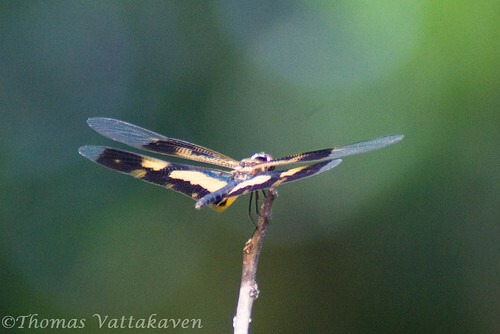 It is a medium sized dragonfly with butterfly like wings. 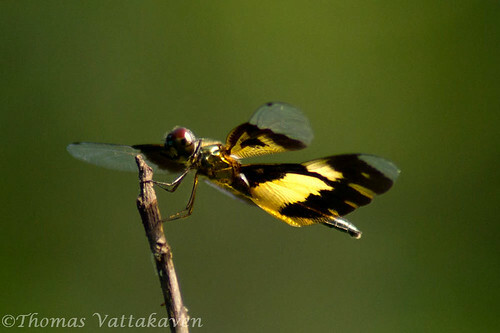 The forewing is transparent with golden yellow and dark brown spots. 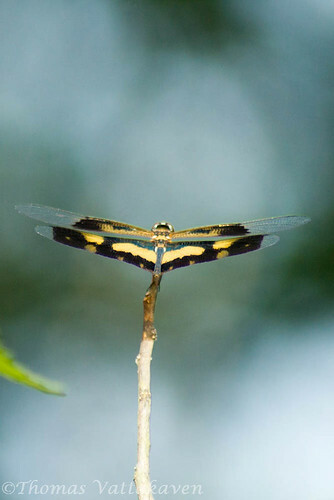 The trailing edge of the male has a characteristic “W” shaped mark. They eyes are dark with reddish-brown above. 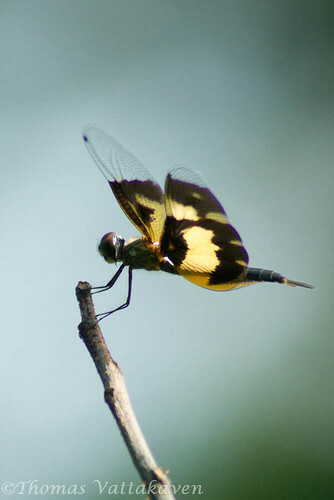 While the wing tips of the male is marked in the deep coffee brown coloured spot, the female (shown here) has it transparent. 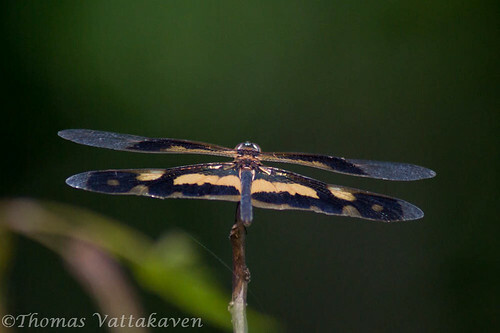 The wing-spots are black. This butterfly has a weak flight and is often mistaken for a butterfly. They are commonly found around their breeding water body. 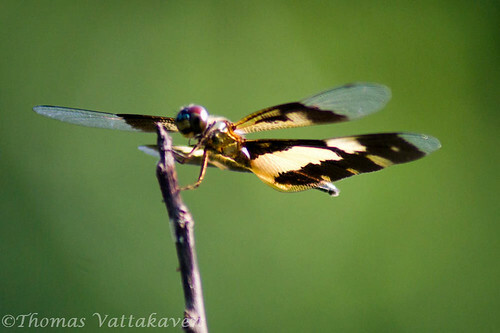 One is most likely to encounter this dragonfly on the wing rather than on the perch.